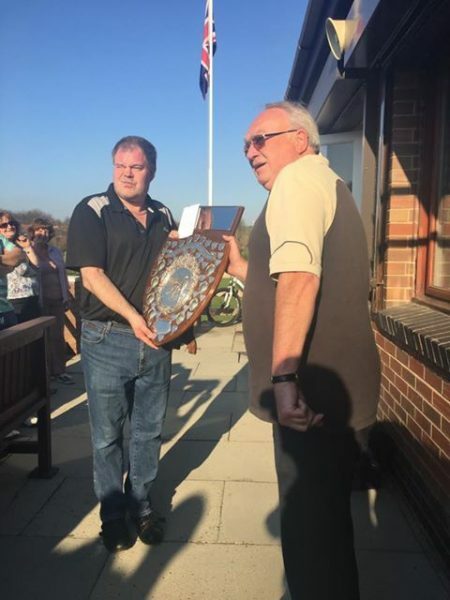 Congratulations to Alan Weekes of Prestwich Bowling Club B Team, who won the 2017 renewal of the Red Rose Shield from a field of 21, beating team mate Stuart Cameron in the final. The weather was glorious and the cricket club’s green in excellent condition. Alan faced father and daughter Philip and Lucy Butler in consecutive rounds, before beating St Margaret’s Alan Prosser in the quarters and Peter Jones of Hollins in semi-final. He continued his fine form in the final, beating Stuart Cameron 21-13. Thank you to all the bowlers who took part and good luck for the rest of the season.